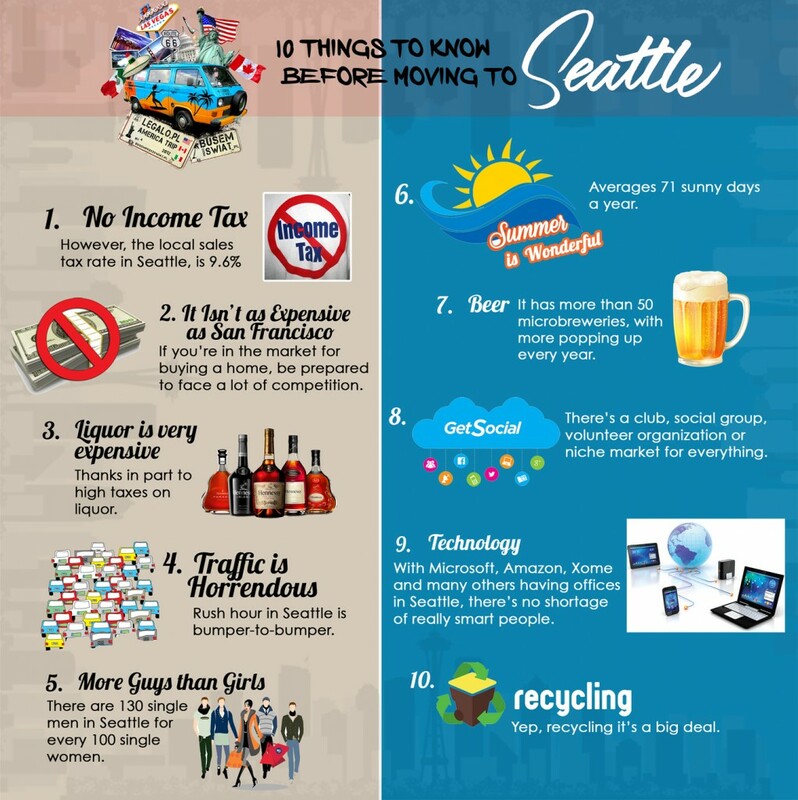 Moving to Seattle soon? You’ve heard about the first Starbucks, you’ve seen the Space Needle on old Frasier re-runs a hundred times, and you probably know that Seattle is the birthplace of grunge music and some of the best bands from the late 90’s. But did you know there’s no Income Tax in Seattle? That it’s a home to more than 50 microbreweries and the best beer in the whole of the US of A? And on another note, if you’re a women and single, there are plenty of fish out there with a 100 single women per 130 single men ratio. Just be sure to speak tech on your next date. If you’re a single guy … be sure to step up your game.